Professional quality retro style microphone based on the classic Shure Model 55. XLR connector, switch and stand mounting point. Polished cast alloy body with a great sounding unidirectional dynamic capsule. Package includes a 6 mtr. XLR to XLR balanced microphone lead. A beautiful contoured gloss black body with white binding. Maple neck with rosewood fingerboard. Wilkinson pick-ups and tuners. 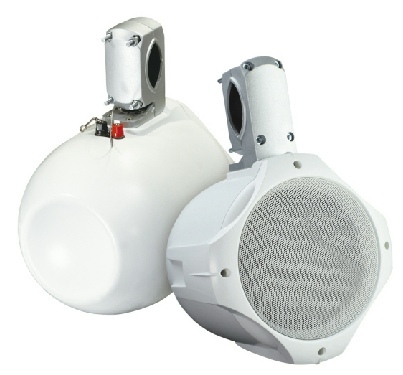 A good sounding pair of PA speakers rated at 150w RMS each (300w programme). 12” bass drivers plus piezo HF horns for a crisp and clear performance. Trapezoidal shape cabinets with ‘carpet’ finish, metal grille and corner protectors. Dual jack connectors and 35mm stand fittings. 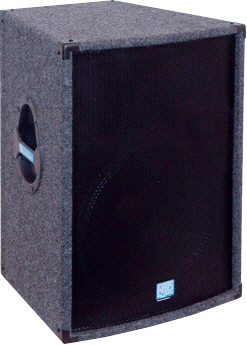 These compact full range cabinets are loaded with quality Celestion 12” 300w bass units coupled through a passive crossover to a Celestion compression driver with CD horn. Trapezoidal shape with a grey ‘carpet’ finish, metal grille and corner protectors. Dual speakon connectors, flush bar handles and 35mm stand fitting. An excellent clear and powerful sound, especially suitable for vocal music. 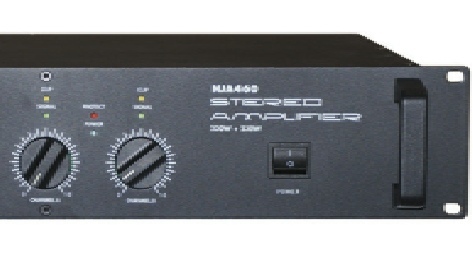 This rack-mountable stereo power amplifier is rated at 230w per channel into 4Ω (460w total). Features include fan cooling, signal, clip, protect and power indicators, detented level controls and soft start to avoid speaker ‘thumps’ when switching on. Inputs are on standard ¼” jack sockets and outputs on Speakons. Great value. Very smart blue carpet covered cabinets with flush bar handles for ease of carrying, 35mm stand fitting, corner protectors and dual jack inputs. The 15” bass driver provides a useful bass extension while the piezo HF horn adds clarity to the sound. Rated at 200w RMS, these speakers represent good value for money. A stunning LP Style guitar. Mahogany body and neck with rosewood fingerboard. Wilkinson pick-ups and tuners. SSP £349.00. 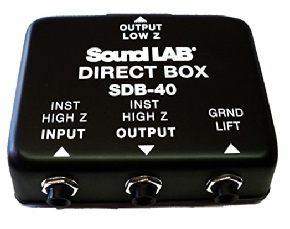 A compact stereo mixer/amp rated at 200w per channel into 4Ω. Six input channels, each with mic and line inputs, -20db switch, variable gain, high and low EQ, effects send, monitor send, pan and level controls. Phantom power, digital effects, five band graphic equaliser, level meters, sockets for speakers, main signal out, monitor out, mix out, record out, tape in, headphones. A super all-in-one unit. 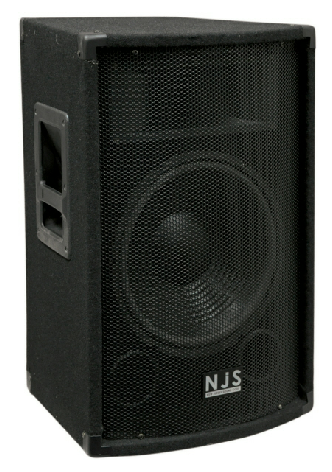 Compact and lightweight, but with a good ‘punchy’ sound, especially in circumstances where heavy bass is not required. Black carpet covered cabinets with metal corners and perforated metal grille, 35mm stand fitting, jack socket and binding posts. 10” 100w woofer with piezo HF horn. Classic SG style electric guitar with cherry finish mahogany body. Mahogany neck with rosewood fingerboard. Wilkinson pick-ups and tuners. SSP £279.00. 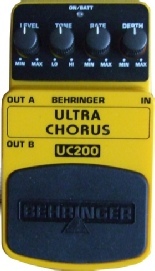 Super-thick chorus with stereo effect. Level, tone, rate & depth controls. Can run from internal 9v battery (not supplied), or optional 9v mains power unit. 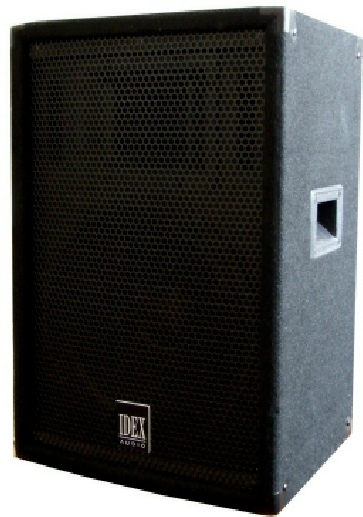 High quality 2-way public address speakers with 8" long excursion woofer (20oz magnet) and 1" titanium dome tweeter. Rated at 80w RMS (260w peak). ABS pods with hanging bracket. Available in BLACK or WHITE. SSP £75.00.